Zibri's Blog: Huge bug in IE7...here's the exploit! 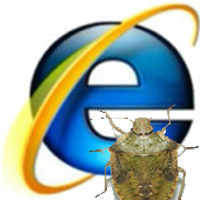 Huge bug in IE7...here's the exploit! I was asked by the browser if I wanted to let the site launch a program. It didn't start automatically. I think the bug was addressed in the latest windows updates. From today, eset nod32 reports it as a trojan and blocks the site from opening untill you disable web acces protection. what's the script the program is reporting? sorry for the late reply, I hope this is any use to you. Good luck with your projects. @ Joris that's your cache... and the ie7_exploit on webalice is an harmless proof of concept..